Eurohotel i Paris, Frankrike : Boka nu! Nous acceptons touts les groupes. Réglement de 30% a la réservation. Reste solde 2 semaine avent l'arrivée du groupe par virement (débiter sur notre compte bancaire) ou réglement sur place en éspece ou débiter la carte bancaire de la personne présente a l'hôtel. 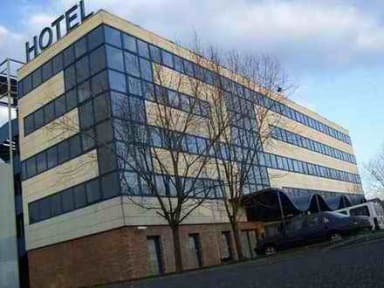 Euro Hotel Orly Rungis, newly refurbished in 2004, offers 96 rooms on 4 floors with 2 elevators to each level. Our comfortable, soundproofed and air-conditioned rooms (including 3 handicap adapted rooms) are equipped with direct dial telephone, web + Fax line, satellite TV, wi-fi access, complete bathroom with hair dryers. Loundry service. Baby bed on request. 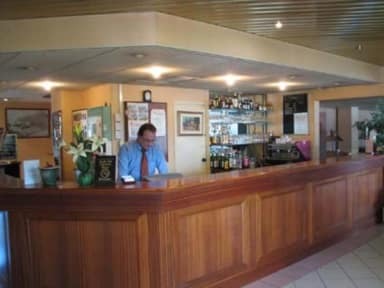 Snack-Bar 24H/24, restaurant 120 seats, TV-lounge, pool table and aquarium, sun terrace, nice plants and hedges for palmy relax. 3 bright meeting halls, special events also on request. Huge private parking for cars and coaches. Special offers car rent with Budget France. Free shuttle service Orly airport Hotel (no T.O. 's Groupe transfer).